As an attorney whose advocated for numerous clients in Arizona for years, Tawnia Wienke is well-versed in the state’s laws and procedures. Allow her to use her extensive experience to help you in your time of need. Legal representation can be essential in certain aspects of life, especially when you are involved in a dispute that could affect your finances, your children, your family, your retirement, and all elements of your life for years to come. This is why it's important that you choose an attorney who is willing to go the extra mile by prioritizing your individual interests, and finding the best resolution for your case. 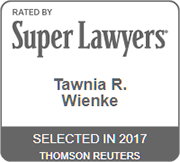 At the Law Office of Tawnia R. Wienke, our focus is to help in all areas of family law as Tawnia R. Wienke has been practicing in family law for over a decade and also has experience in juvenile law regarding guardianship and adoptions. The Law Office of Tawnia R. Wienke serves the various legal needs of clients in Tempe, Arizona, all of Maricopa County and other surrounding areas. We empathize with our clients and understand that the outcome of each case will have a lasting effect on their lives. With a genuine concern for all of our client's circumstances, we strive to provide exemplary services to each and every client. These services entail helping you understand the intricacies and complexities of family law and helping you navigate the legal system, and ensuring your voice is heard in court. We offer a broad range of legal services under several diverse areas of family law such as divorce, legal decision-making, parenting time, and modification of previous Court's orders as well as juvenile law regarding termination of parental rights, adoptions and guardianships. You need an attorney who understands the legal system and really cares about your case. 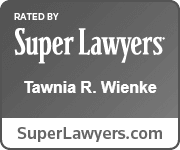 Contact the Law Office of Tawnia R. Wienke for a free consultation. Tawnia Wienke is an attorney who always puts the needs of her clients first. At her firm, each client's fight is her fight, and she will work with the clients to get the best results for them.